Considerations and Questions Before you Order. 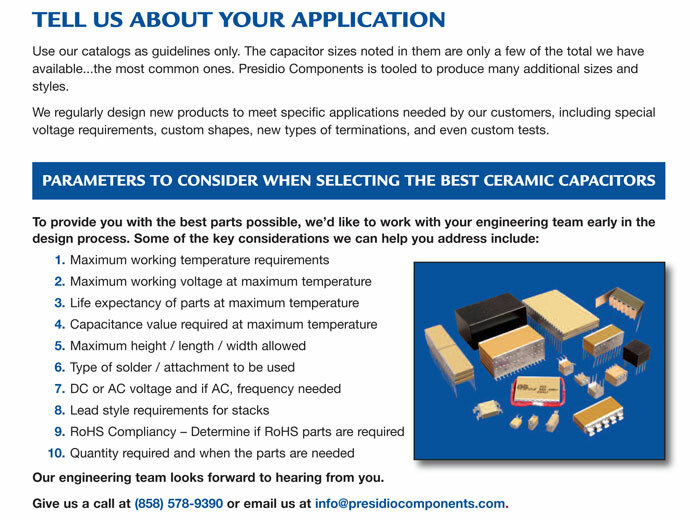 Facts Presidio Components needs to give you the best information possible. product catalog for your application.